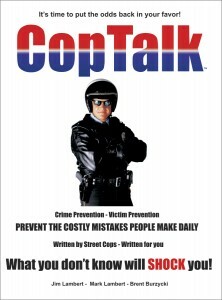 Episode #35 – CopTalk Podcast | Coptalk.Info - What you do not know will shock you! In colorado, how long can a cop follow you before turning on his lights if he says that your a danger to other people…should’t he pull you over right away? Ask a Cop? How Do You Handle Police Misconduct? Do off-duty police officers have the same authority as working officers? Is it legal for people to take a photo or record video of suspicious activity and send it to the police? If you pull over someone and they start video taping you – how do you handle that? Five years ago, the state paroled 69,000 prisoners – a normal year. Within two years, about 36,000 were back in prison, according to the latest data from the state Department of Corrections and Rehabilitation. About two thirds of parolees released to the Sacramento region were back in prison within two years. Car thieves were the most likely parolees to come back to prison quickly statewide; murderers were the least likely. This chart shows the number of prisoners paroled during 2006, along with percentage who came back to prison one or two years later. REYNOLDSBURG, OH – An aggravated murder case against an illegal immigrant in Ohio has been dropped because a judge ruled that a Spanish interpreter botched reading the man his rights during a police interview. Assistant prosecutor Mark Wodarcyk said there wasn’t sufficient evidence to go to trial after Franklin County Common Pleas Judge John Bessey ruled last month to suppress the statements that Antonio M. Martinez-Nunez made during phone interviews with Reynoldsburg police, The Columbus Dispatch reports. Martinez-Nunez, 31, had been charged with nine counts, including aggravated murder and abuse of a corpse in the death of Armondo Casillas Castanedo, whose body was found in a parked car in the Columbus suburb of Reynoldsburg in August 2009. Police think Castanedo, a 36-year-old illegal immigrant, was killed a few days earlier in a feud over drug territory. An autopsy determined that he was asphyxiated. WASHINGTON – A closely divided Supreme Court on Monday cited “serious constitutional violations” in California’s overcrowded prisons and ordered the state to abide by aggressive plans to fix the problem. In a decision closely watched by other states, the court by a 5-4 margin concluded the prison overcrowding violated constitutional protections against cruel and unusual punishment. Pointedly, the court rejected California’s bid for more time and leeway. By DON THOMPSON Associated Press SACRAMENTO, Calif.
California improperly paroled more than 450 dangerous criminals without supervision last year as part of a program designed to reduce prison crowding and cost, the California prison system’s independent inspector general said Wednesday in a report. A faulty computerized risk-assessment program predicted the offenders could be released under the state’s non-revocable parole law that took effect in January 2010. The inspector general found that about 1,500 offenders were improperly left unsupervised, including 450 who “carry a high risk for violence.” The offenders otherwise would have been released under traditional parole, which requires them to report in regularly and follow specific rules. The Houston Chronicle via YellowBrix June 08, 2011 HOUSTON, TX – Law enforcement leaders are stepping up criticism of Rice University’s firing of a police officer who responded to an armed standoff off-campus last month with a man who shot two HPD officers before turning the gun on himself. Rice University terminated the officer, David Sedmak, for dereliction of duty for leaving his post to get to the call near the downtown Greyhound station. Sedmak responded to the scene when he heard the call on his police scanner. FARMINGTON, Conn.—Connecticut police say a man punched himself in the face, tore his shirt and threw his wallet and keys in a river to convince police he had been assaulted. Farmington police said Monday that Daniel Vagnini was arrested after reporting that he has been assaulted, then admitting he made up the story. According to police, the 22-year-old Farmington man sped through a stop sign and nearly crashed into a car. Police say they later found his car and heard Vagnini in the woods. He told police he had been drinking in Hartford and was assaulted and blacked out. Vagnini was charged with reckless driving, evading responsibility and driving under the influence. A woman who returned a message left at Vagnini’s home said the family would have no comment.